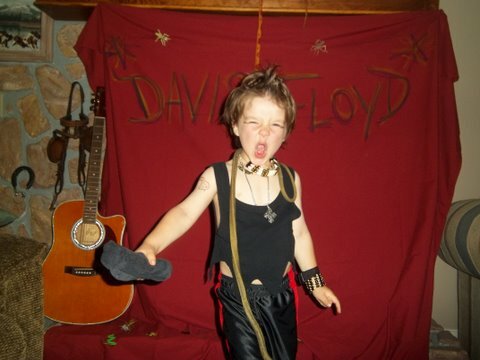 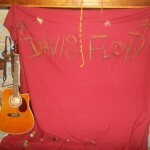 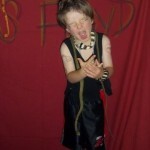 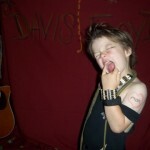 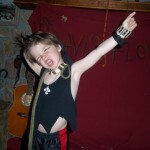 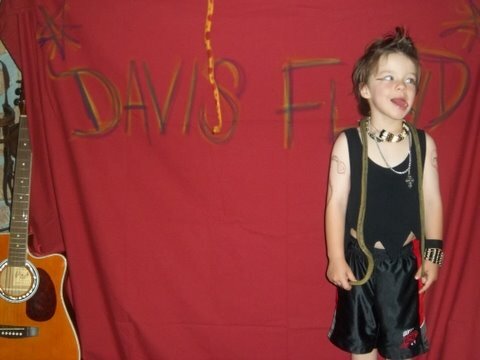 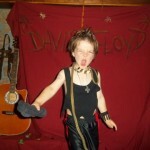 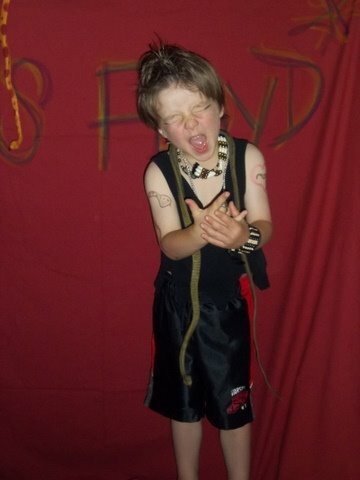 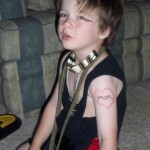 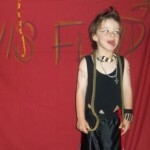 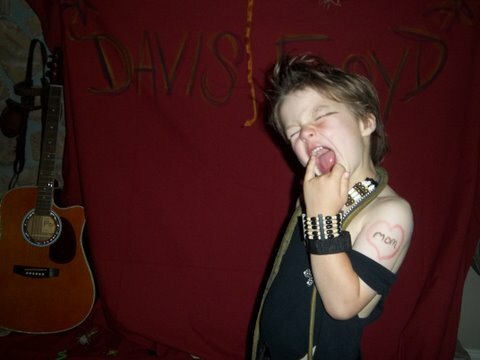 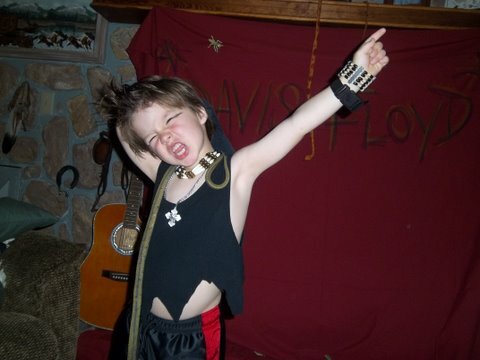 Davis has always wanted to be a rock star. 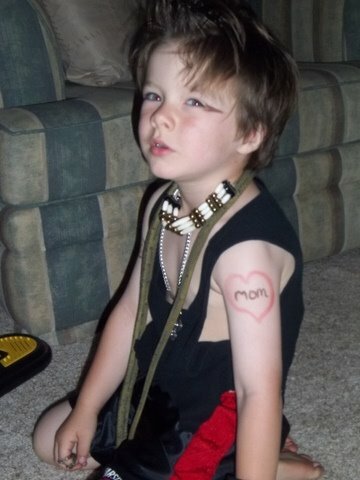 Nana helped him realize his dream. 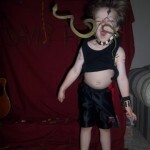 Love the snake. 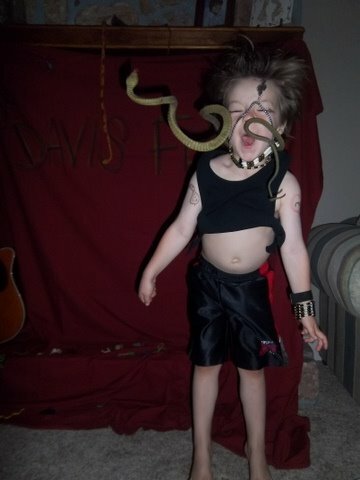 It’s a nice touch. 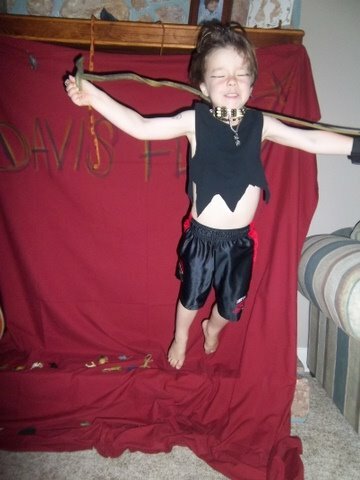 Davis looks absolutely thrilled! 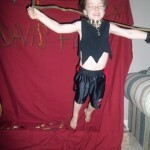 …These pics will be good to show to Mrs. Davis in the future.